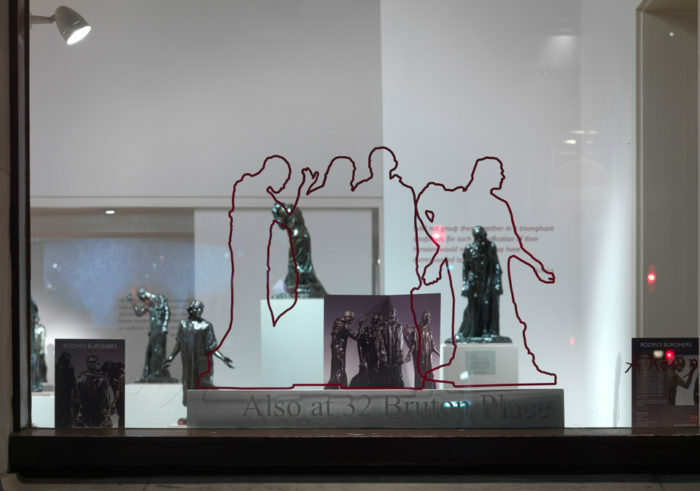 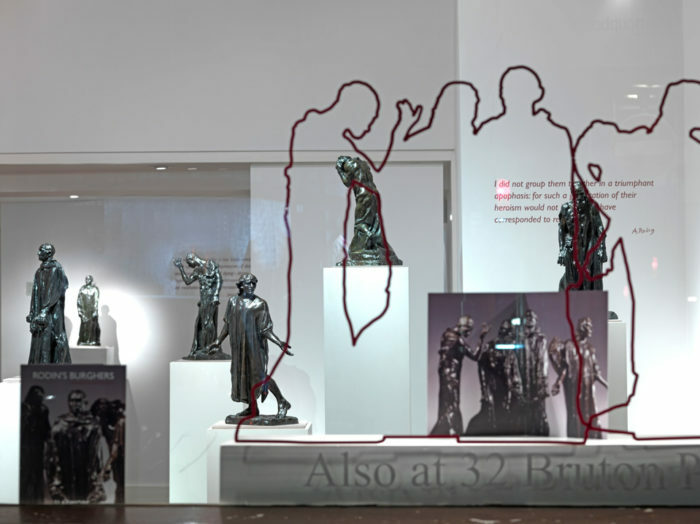 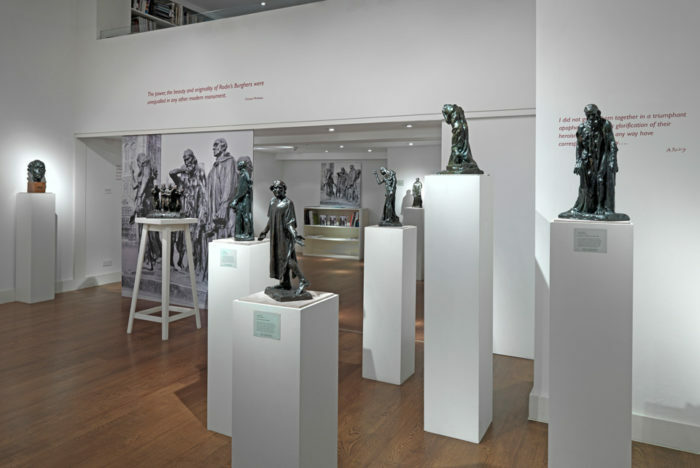 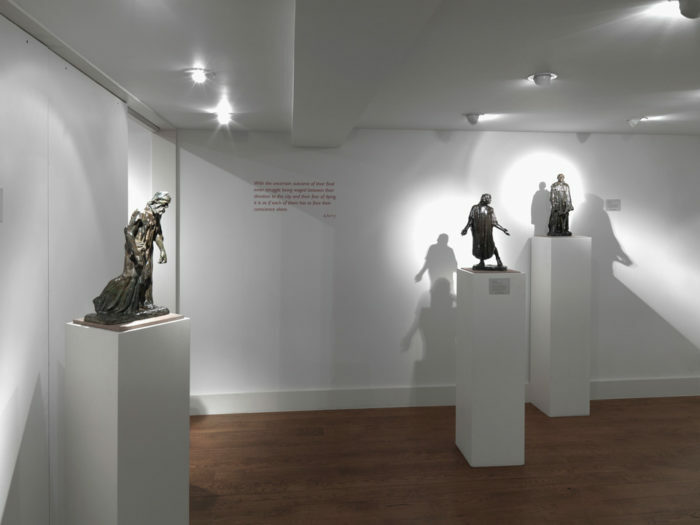 The Sladmore Gallery is immensely proud to present two complete sets of the reduced version of Rodin’s ‘Burghers of Calais’. 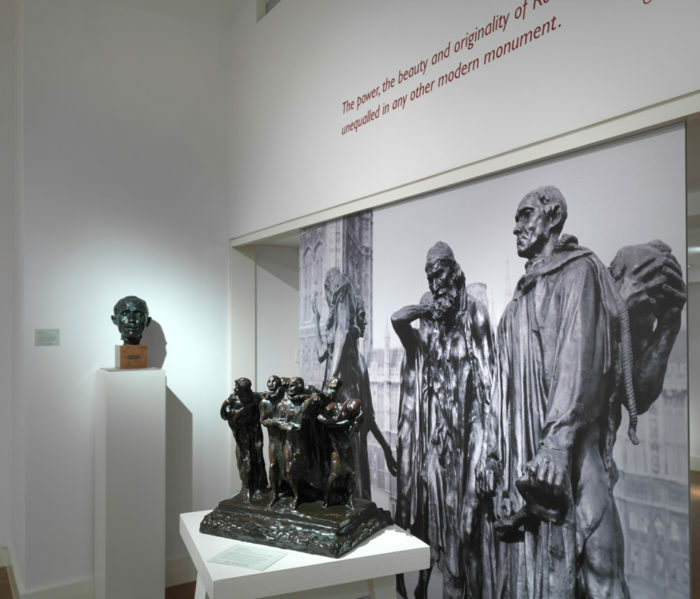 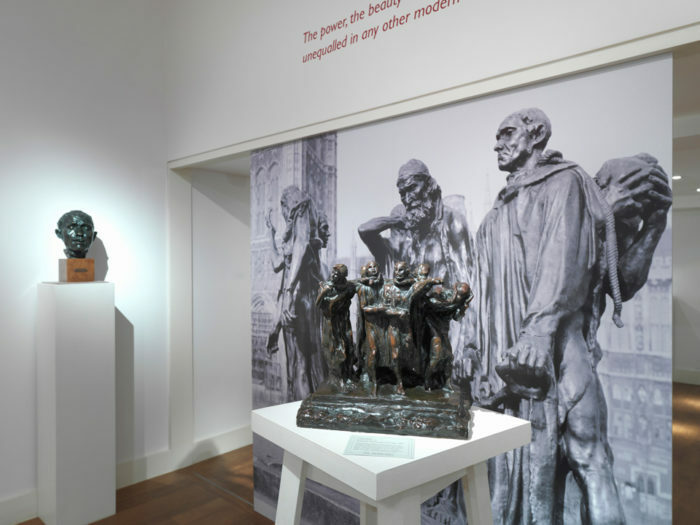 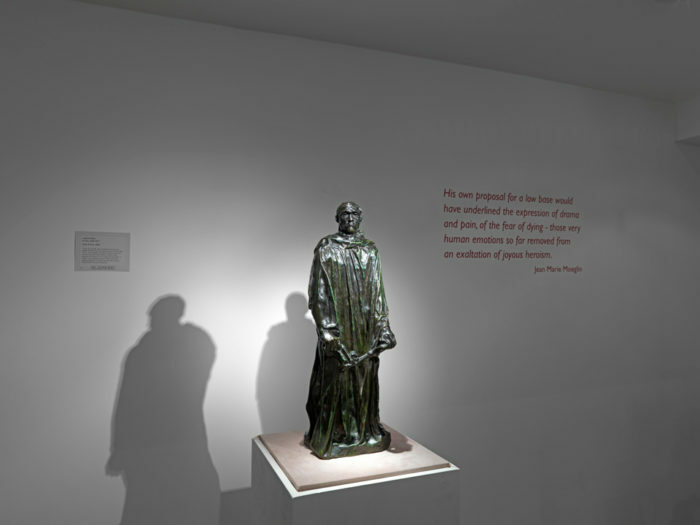 In 1895, when the ‘Burghers of Calais’ monument was finally unveiled in the town of Calais, Rodin began work on the reduction of five of the six figures. 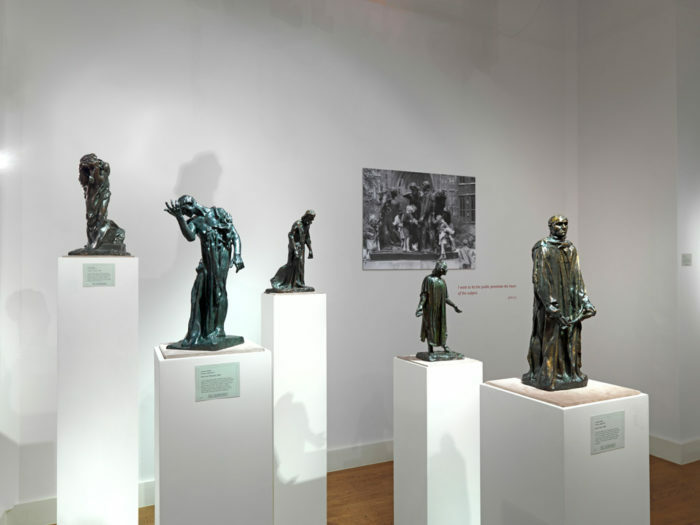 Each reduction is around 18 inches in height and the last model, Eustache de St Pierre, was completed by 1903. 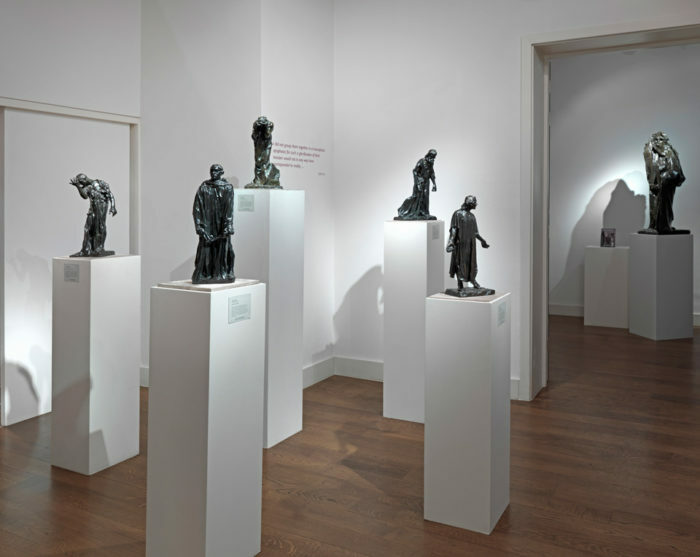 Complete sets of these reductions are extremely rare, even in within the collections of the world’s major museums. 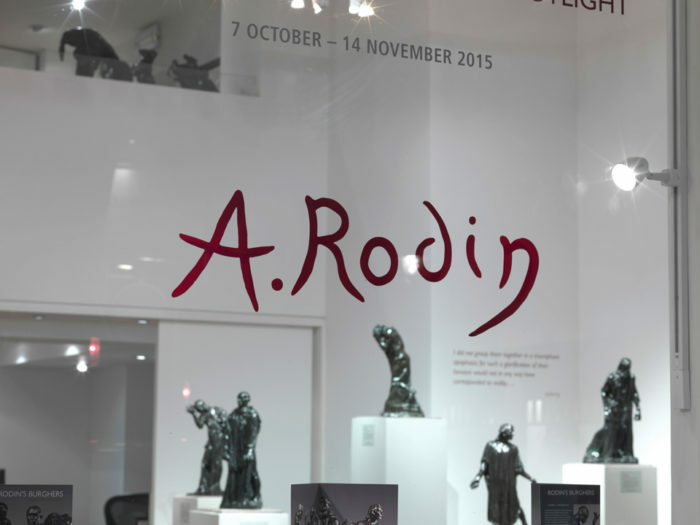 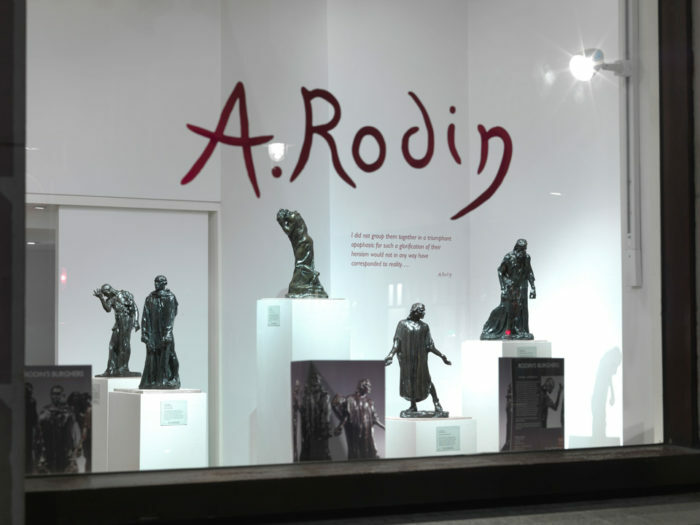 This exhibition will feature two full sets, cast from 1900 onwards, including a rare example from the collection of Jean Limet, Rodin’s favoured patinator. 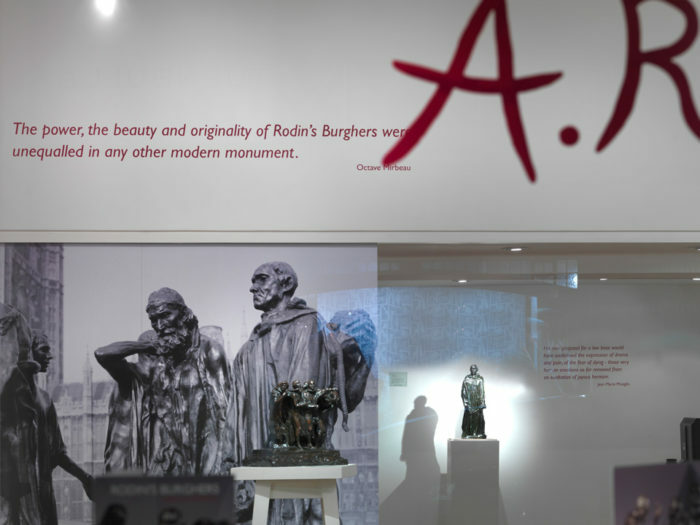 Alongside the Burghers, other related sculptures will be on display. 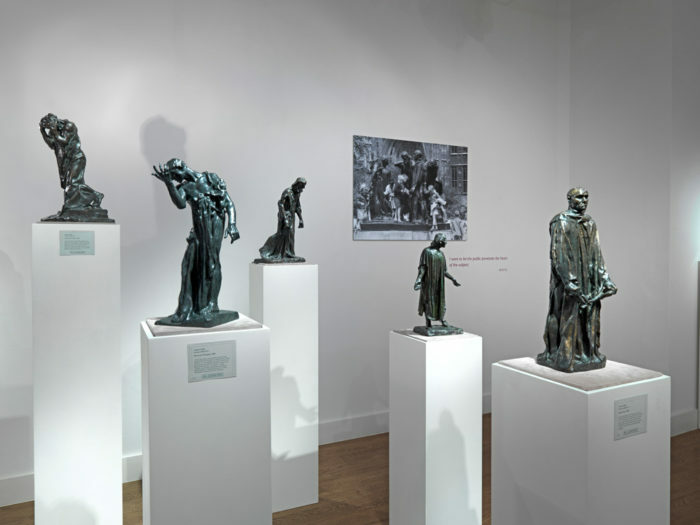 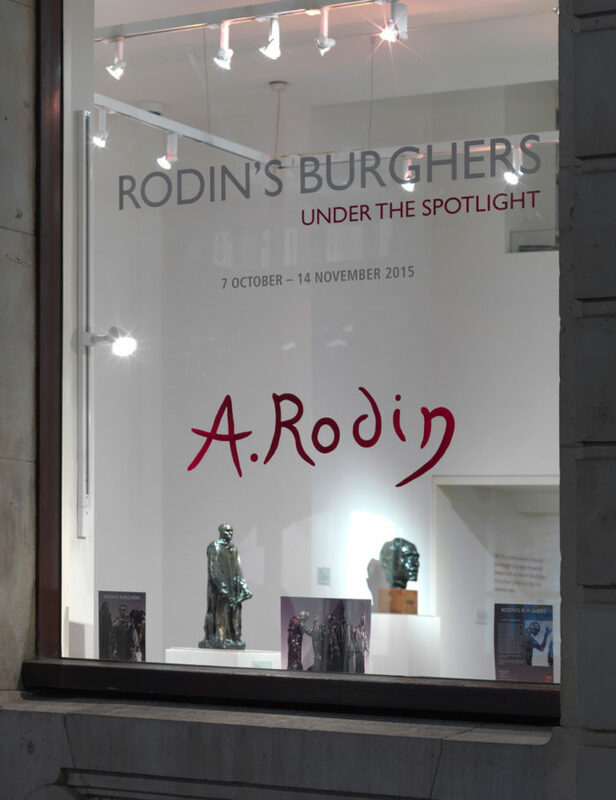 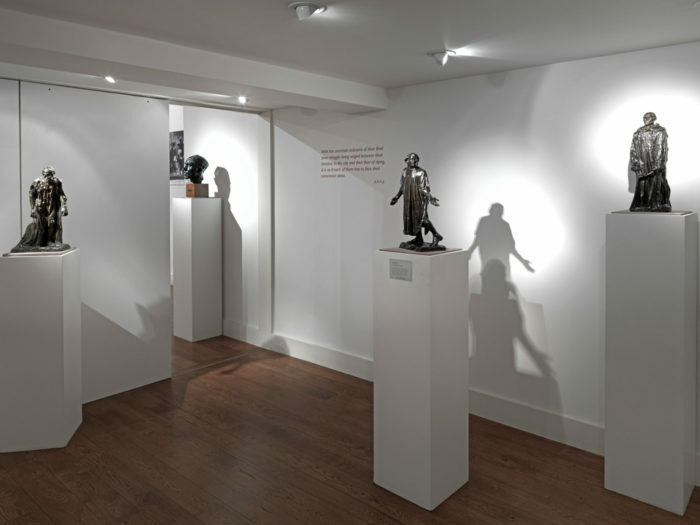 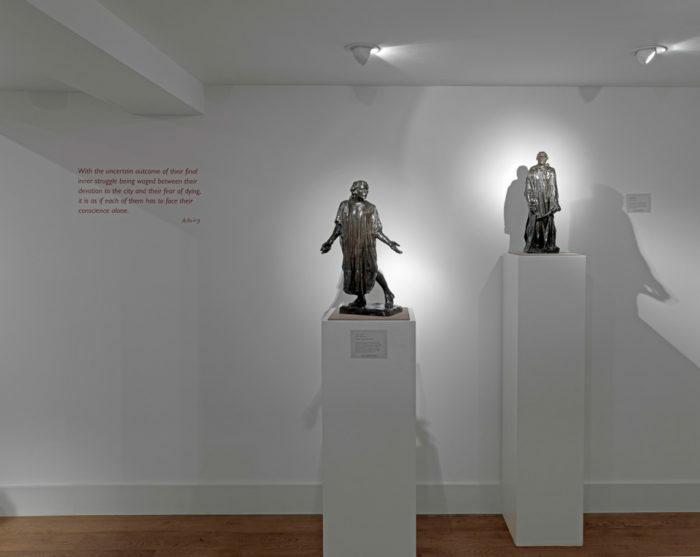 The exhibition affords the viewer a comparison between casts produced by different foundries, with varying dates of production and individual patinas – ‘under the spotlight’.